By popular demand, we are launching a unique series of Paris experiences, designed for the Adventuress in you. For women only and a select few daring men, we’ll curate a gorgeous Paris trip for you that will include art, culture, cuisine, wine and champagne. If you have a literary bent, desire a spa or shopping tour, we’ll create an itinerary for you in 7 days that will introduce you to the delights of the city. Invite your girlfriends or significant others, and we’ll curate a collection of experiences with our luxury partners that will make your visit to Paris memorable. It begins with finding the perfect hotel that might be a 4 star or 5 star, at the levels of Boho Left Bank, Right Bank Luxe, or Ultimate Luxe Adventuress. Each offering is tailored to your curiosities, cultural agenda or innermost desires to find the perfect Paris perfume or the ultimate shoe or handbag. Private shopping, backstage at the Louvre, the front row, a private dinner prepared by a Michelin starred chef, or just relaxing in the park with your 3 star “picnique”, Paris has many pleasures. We hope you join us on this unique adventure this Summer and Fall Season. 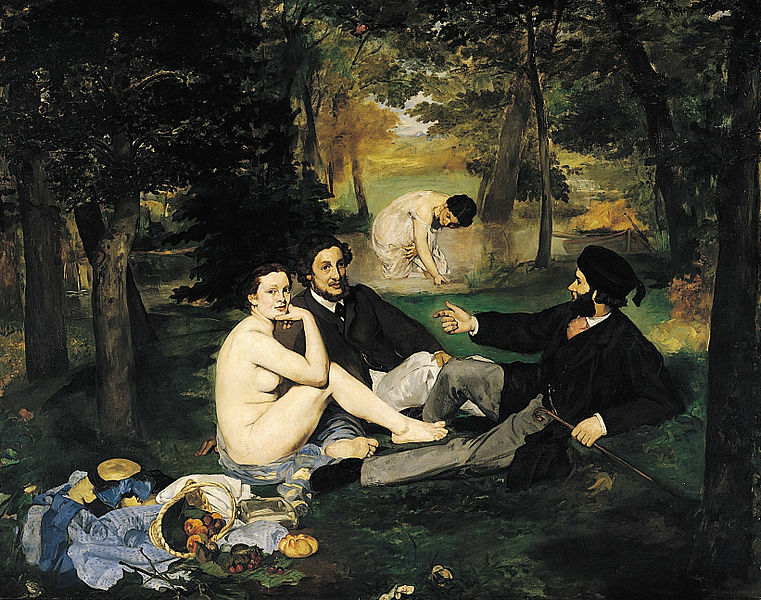 Eduard Manet, Dejeuner sur L’herbe. For more details please inquire at our website, for further details. Reblogged this on BKM Car and Limo. Hi Raymond;hope you and the family are well! I hope you’ll take a moment to review: http://www.parisadventuress.com for more details about your dream trip to Paris, France.